Hello ... Hello ... my old friends ... It's great to see you once again! Tuesday 6th December 1988 is a day and date firmly fixed in my memory. It was the day the legend who is Roy Orbison passed away during the magnificent resurgence of his four decade career, just a month before "You Got It" hit #3 in the UK Singles chart with comeback album "Mystery Girl" rocketing to #2 in the UK Album chart just a month later. I remember that day even more vividly than the days in which we lost Elvis Presley in 1977 and John Lennon in 1980 when I was 9 and 13 years of age respectively, probably because I was just over 21 years of age when The Big O tragically died of a heart attack. Ever since its release was announced, ELO Beatles Forever [ELOBF] has been counting down the days and looking forward to the release of the 25th Anniversary Edition of "Mystery Girl" here in the UK on Monday 19th May and in the US on Tuesday 20th May. And that anticipation was not in vain. Much as in the same way as the the excellent chart topping Traveling Wilburys Collection was presented to us back in 2007, Sony Legacy have now excelled themselves by combining the original ten  song roster with nine  tracks including studio demos, work-tape demos and 'new' song "The Way Is Love", based on a 1986 audio tape but re-worked with the musical talents of the three  Orbison sons Wesley, Roy Jr. and Alex - not unlike that of The Beatles' "Free As A Bird" and "Real Love". Those ten songs from the original release still impress and they still ooze class. The three songs co-written and produced by Jeff Lynne speak for themselves - "You Got It", "A Love So Beautiful" and "California Blue" are timeless classics in their own right but the whole album is a testament to Roy's astonishing gifting. The Bono produced "She's A Mystery To Me" is still spine-tingling as are those oft overlooked album gems "In The Real World", "[All I Can Do Is] Dream You" and "Careless Heart". In fact, there are no stocking fillers on this record. There never were. It was that good an album. 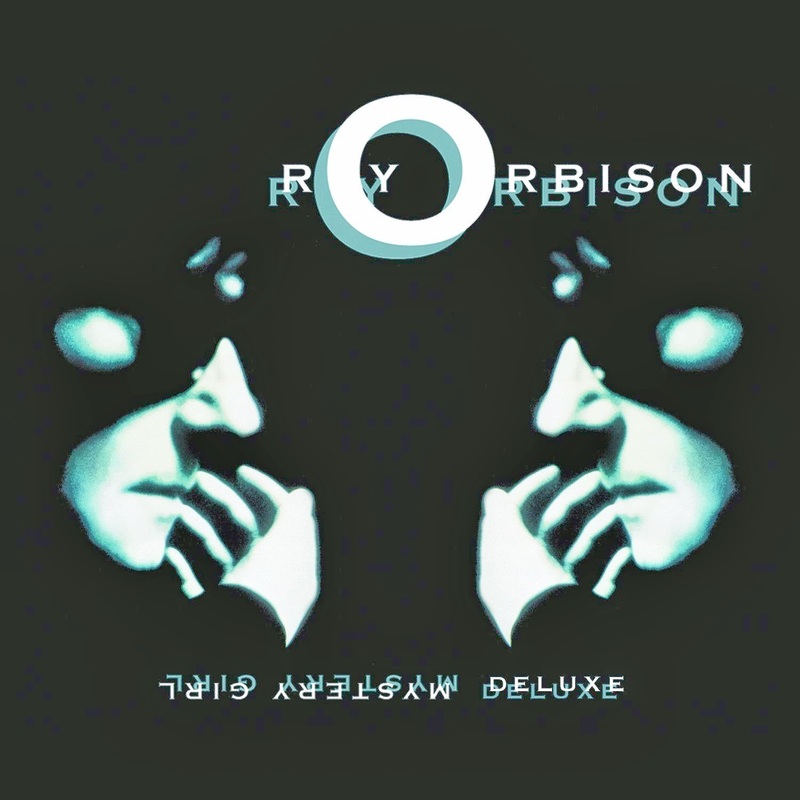 The bonus tracks give a real insight to the undisputed talent of Roy Orbison in the studio and really emphasize the once-in-a-generation quality of his legendary voice. These recordings give the impression of the listener almost intruding into the Orbison household, such is the musical intimacy on show. 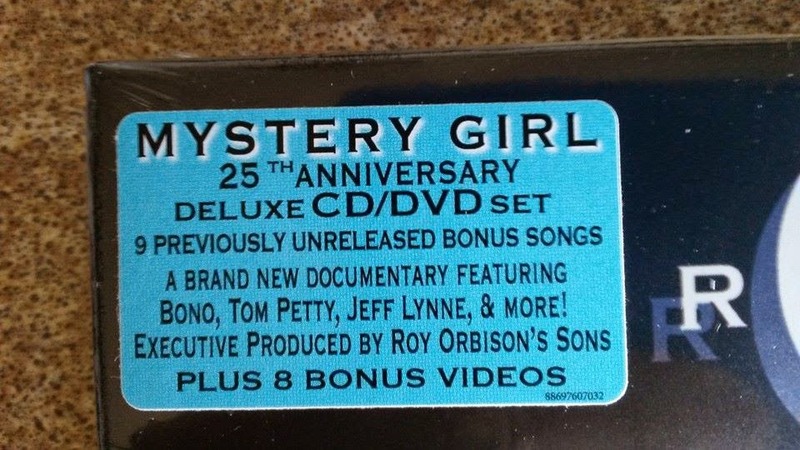 If this nineteen  track re-issue of "Mystery Girl" [#88697607032] ticks all the proverbial boxes, then the DVD included within the Deluxe CD set really is the jewel in the crown. "Mystery Girl: Unraveled" is an in-depth overview of all the songs that made up the album. With contributions by [of course]: Jeff Lynne, Tom Petty, Bono, Roy's Boys, the late Barbara Orbison, Mike Campbell, Jim Keltner and engineer Richard Dodd amongst not a few others [plus archive footage of George Harrison], this has to be one of the most entertaining, thorough and respectful music documentaries that Yours Truly KJS has seen or heard. The fond recollections of their father by his sons are perfectly balanced by the thoughts and commentaries of those involved in the project. "Without a doubt, the special friendship between Jeff Lynne and Roy Orbison shines throughout." I loved the footage of the larking about of and the recording process involving Roy, Jeff, Tom and George in the bedroom and garage of Mike Campbell, including certain animal vocals! And seeing Roy singing backing vocals for TP's "Zombie Zoo" during the "Full Moon Fever" sessions was just simply superb. Without a doubt, the special friendship between Jeff Lynne and Roy Orbison shines throughout. "Mystery Girl: Unraveled" is a truly touching tribute to a real legend. ELO Beatles Forever [ELOBF] recommends "Mystery Girl Deluxe" by Roy Orbison to those enlightened folks who enjoy the music of ELO, Jeff Lynne, Roy Wood, The Move, The Idle Race, The Beatles, The Traveling Wilburys, 'Brum Beat' and related artistes.